No flower so fittingly illustrates the blooming strength of May as the peony. The buds are balls of compressed energy that - when the time comes - open very quickly and smell beautiful. The single-flowered peonies then display a fabulous heart, whilst the double-flowered varieties produce a cheerful full mophead of soft petals. They can have a diameter of 15-18cm, and are particularly offered in white, various shades of pink and claret. They flower in May and June, and offer a romantic taste of the summer to come. The peony originates from China and arrived in Europe around 1785. They are in their own family (Paeonia) with just one genus: the peony. The range of peonies is large, and there are hundreds of cultivars. 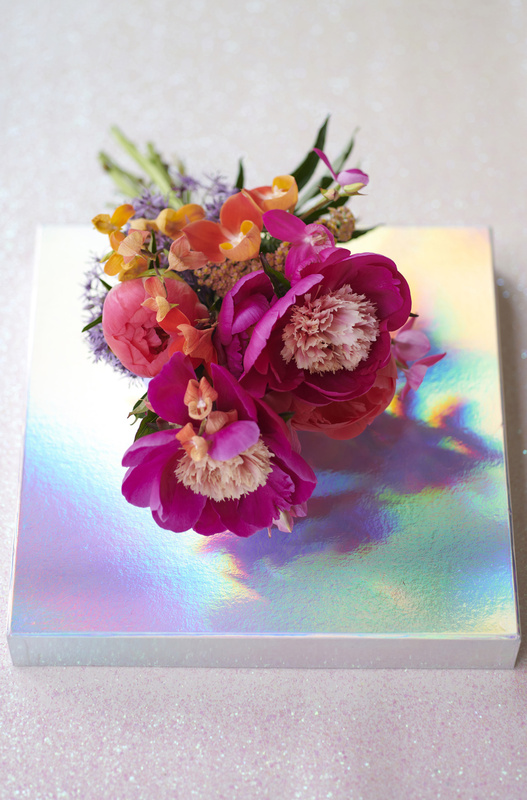 Alongside white, pink and claret they also come in lilac, salmon pink (this is particularly popular as a match for Living Coral, the Pantone Colour for 2019), pale yellow and red. The flower shape can vary between double-flowered, single-flowered and anemone-flowered. 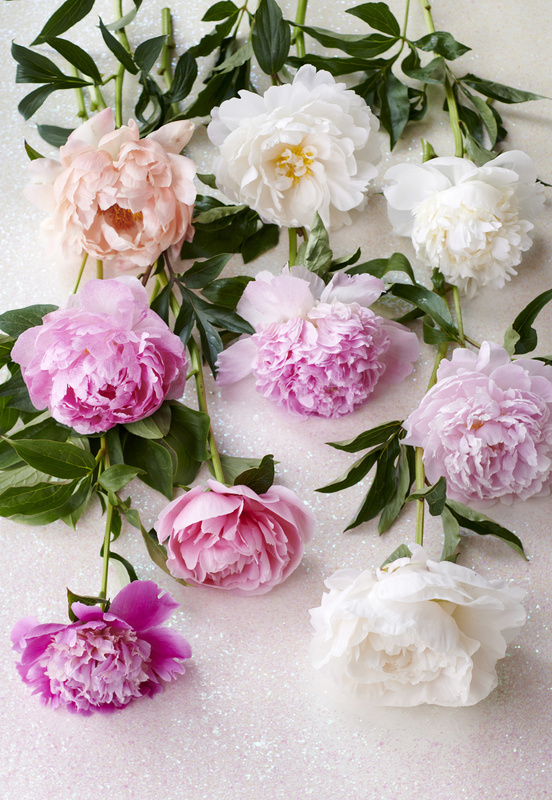 Many peonies have a very strong sweet scent which makes the flowers even more appealing. The transformation from a bud which is some 3cm across into a flower with a diameter of over 15cm is always spectacular. Check whether the peonies are unbranched or branched (= more flowers), and that the stems are fairly straight. 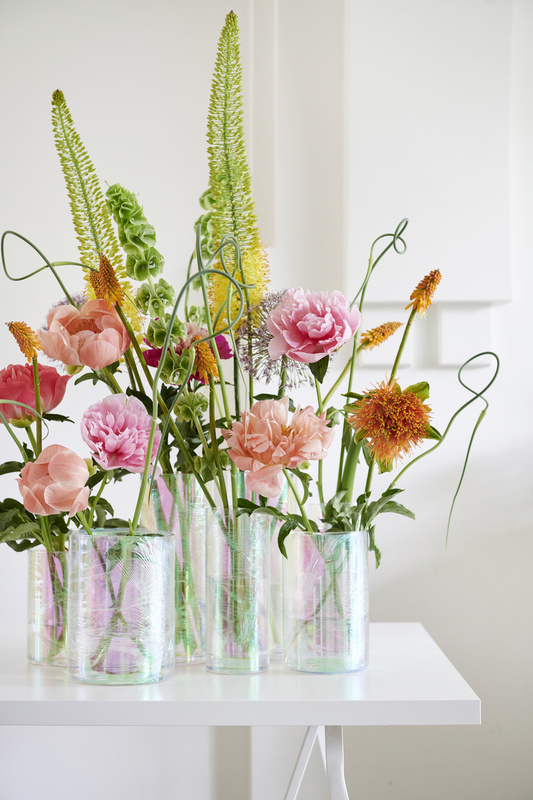 The ripeness of the bud is essential for them to be able to open in the vase. The stage of ripeness depends on the cultivar. Some cultivars are offered unripe, whilst others need to be slightly coloured to guarantee flowering. It’s ideal if the bud is slightly soft and the petals come apart slightly. Peonies that are too unripe will not open. The flowers must be free of pests and diseases. Growers pre-treat the flowers to improve the lifespan. The only thing that peonies sometimes suffer from is botrytis, which can be seen by spots on the flowers or leaves. When peonies are in bud they exude nectar, probably to stick the bracts and petals together slightly during the last powerful stage of growth to keep them closed. That way they protect their reproductive organs in the wild until they’re ready for the romance of the birds and bees. 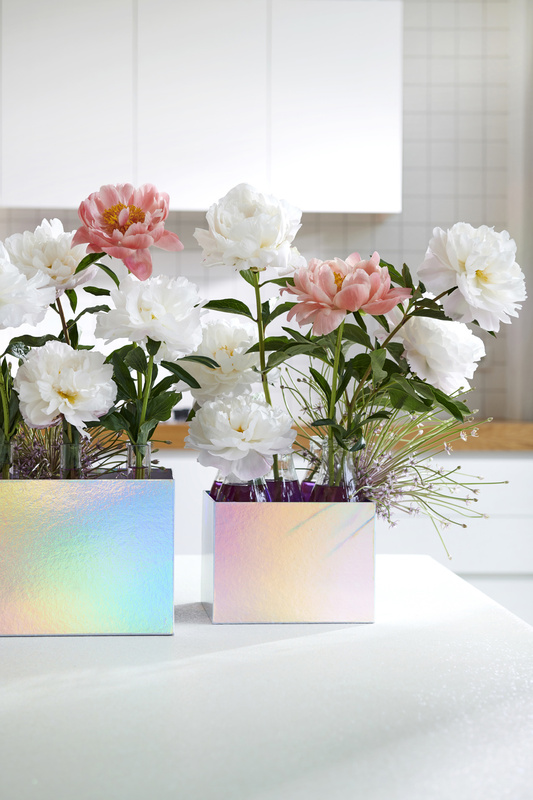 Using very clean vases or buckets, store the peonies in cool conditions and on a layer of water with bulb flower food. Ensure that the flowers cannot get damp due to excessive humidity or from condensation caused by temperature fluctuations. This will encourage botrytis, a fungus which rapidly diminishes the decorative value. With peonies this is often called blight, and can be seen by small brown spots on the flowers or the leaves. Peonies are seasonal flowers. Place them clearly in view and not too high so that customers can look down on them. Sorting into colour blocks is a more effective display than mixing the flowers. Use a sharp knife to cut 3-5cm off the stem; remove the leaves that will be under water. If the buds are very sticky because of the nectar, gently pour tepid water over them. This will dissolve it so that the flowers can open beautifully. Do not place peonies in a draught, in the sun, near a heater or near fruit. 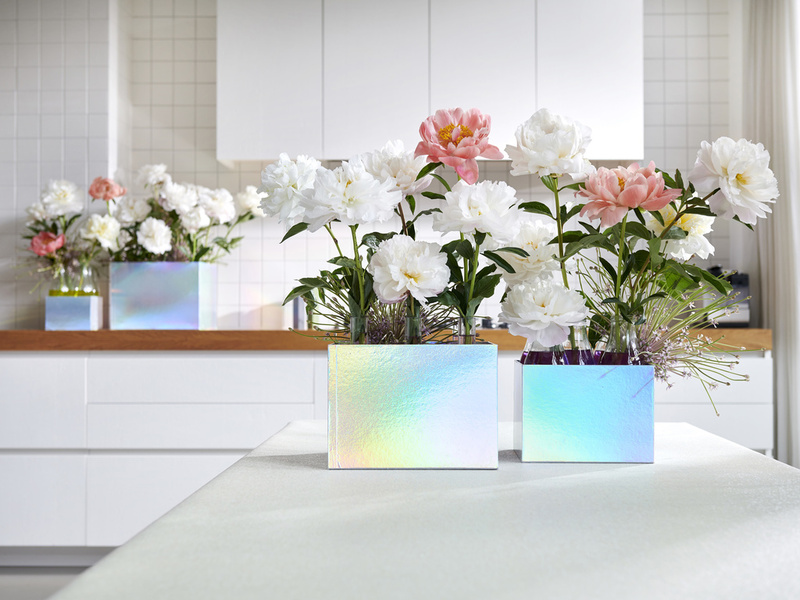 Inspiring images of every flower on the Flower Agenda have been produced in line with the Horticulture Sector Trends 2019 (Groenbranche Trends 2019). These trends are a translation of the latest consumer trends and are specifically aimed at the horticulture sector for use both indoors and outdoors. For more information about the Flower Agenda read more. Peony will be on the Flower Agenda in May 2019. You can download and use these inspirational images free of charge if you credit Funnyhowflowersdothat.co.uk.